Current statistics reveal that Bitcoin ATMs around the globe are about to reach 4,000. 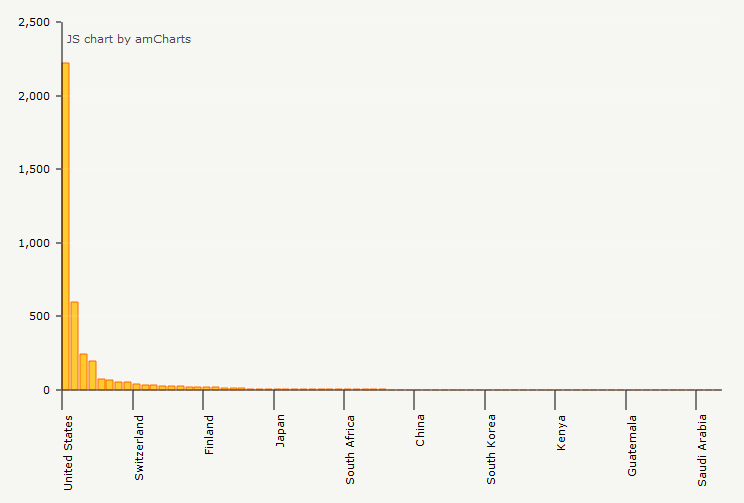 Though not as widespread as mainstream ATMs, BTC ATMs seem to experience astronomical growth. In November, the number of such machines worldwide is expected to cross the 4,000 milestone. Over time, Bitcoin ATMs have become increasingly popular across the globe. According to Cointatmradar, a platform that monitors cryptocurrency ATMs around the world, the current number of BTC ATMs stands at 3,991, almost reaching the 4,000 milestone. With the first Bitcoin ATM installed in November 2013, there has been an astronomical growth of the ATMs in five years, signifying the growing acceptance of cryptocurrency across the globe. There is also a rapid growth of BTC ATMs across continents, with North America still maintaining its number one spot. The continent controls 71.39% of the market, followed by Europe with 23.53%. Africa, a continent gradually allowing the penetration of virtual currency, ranks last at 0.20%. The United States continues to retain its top slot among other countries across the globe, with 2,219 ATMs spread across the country. Its North American counterpart, Canada, ranks second with 600 BTC ATMs. Other countries, including Indonesia, Saudi Arabia, Iceland, Thailand, Cyprus, Philippines, and Germany, have one Bitcoin ATM each in their countries. 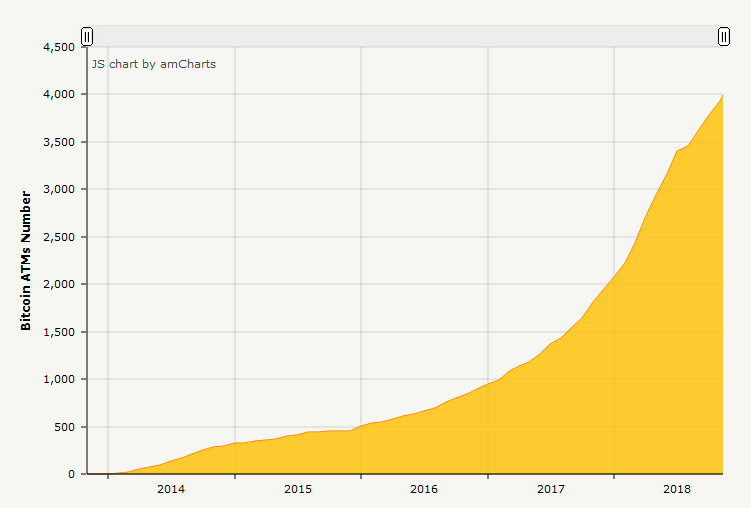 The number of Bitcoin ATM manufacturers have seen an increase over the years. American company, Genesis Coin has the most significant market share with 32.07%, followed closely by Europe-based General Bytes with 29.27%. Orderbob ATM ranks bottom with 2.13%. The presence of more BTC ATM manufacturers indicates the market’s competitiveness and is a sign of the growing acceptance of digital currency. Apart from a total clampdown on virtual currency trading, some countries are also terminating the operations of Bitcoin ATMs. Some governments see the installation of BTC ATMs as an avenue to defraud unsuspecting victims. India is in the forefront of the cryptocurrency ban. With the RBI’s ban on virtual currency trading, Unocoin, a digital currency trading company in India installed the country’s first Bitcoin ATM. 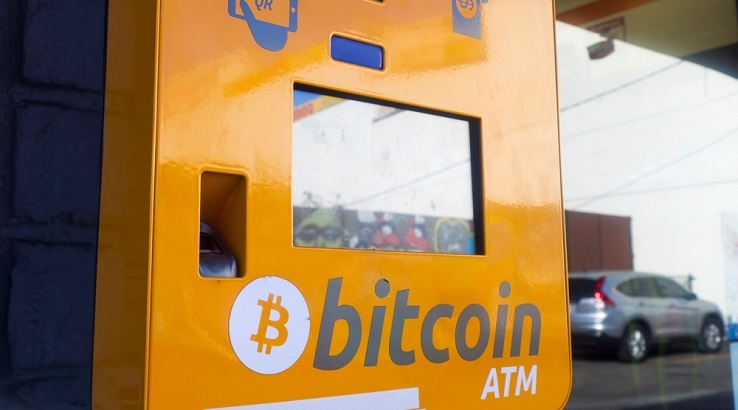 However, authorities seized the BTC ATM and arrested co-founders Harish BV and Sathvik Viswanath, citing unauthorized installation. Russian authorities also seized twenty-two Bitcoin ATMs belonging to Russian BTC ATM manufacturer, BBFPro. According to the company, however, there was no prior information following the confiscation of the Bitcoin ATMs. The company also lamented that authorities verbally stated that there would be a six-month inspection before they return the Bitcoin ATMs. Image courtesy of Ethereum World News archives and Coinatmradar.